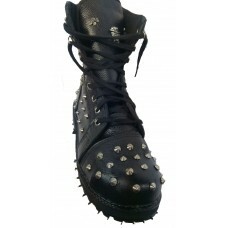 Real leather ankle boot with spikes. 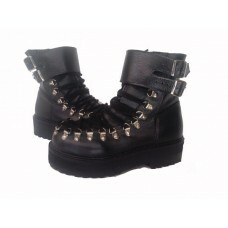 MANUFACTURE BLACK SHOESAVAILABLE IN SIZES INTERNAL SHO..
Real leather platform boot with buckles and eyelets. 12cm (4.8”) heel height. MANUFACTURE BLAC..
Real leather peep toe shoes with rivets, 15cm (6”) heel height.MANUFACTURE BLACK SHOESAVAILABLE IN ..
Real leather boot, with buckles and spikes. 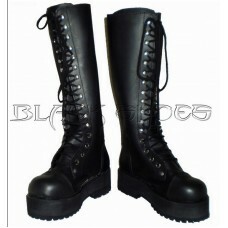 12cm (4.8”) heel height.MANUFACTURE BLACK SHOESAVAILABL..
Real leather boot, with eyelet and buckle details. 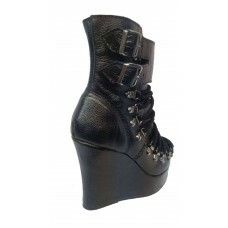 Available MANUFACTURE BLACK SHOESAVAILABLE ..
Pentagram platform sandals. 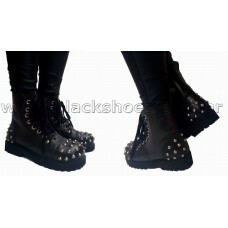 Real patent leather, 12cm (4.8”) heel heightMANUFACTURE BLACK SHOESINTER..
Real leather boot with spike details. MANUFACTURE BLACK SHOESAVAILABLE IN SIZES INTERNAL SH..
Real leather platform boot, with patent leather details and buckles. 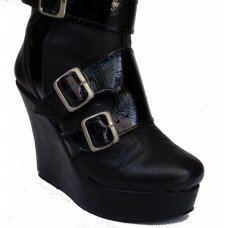 12cm (4.8”) heel heightM..